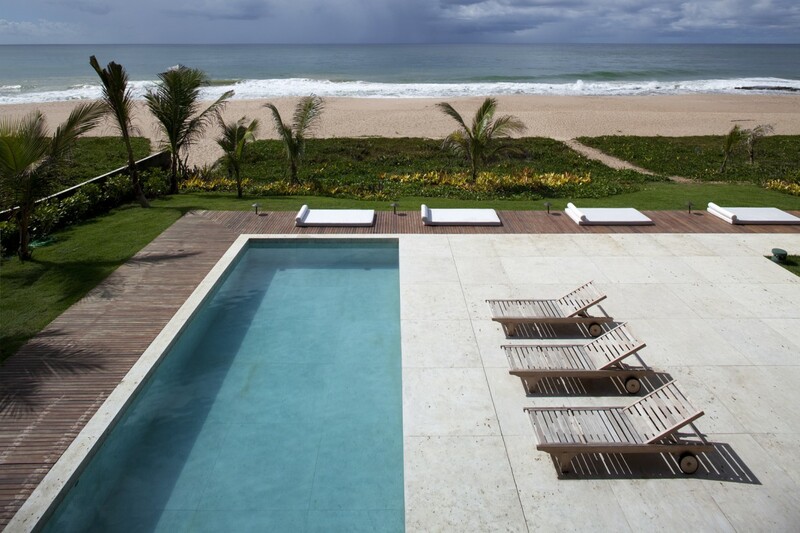 Interlagos gated community has a great infrastructure, providing security and the convenience of staying just 25 minutes away by car from Salvador’s airport and close to Praia do Forte. 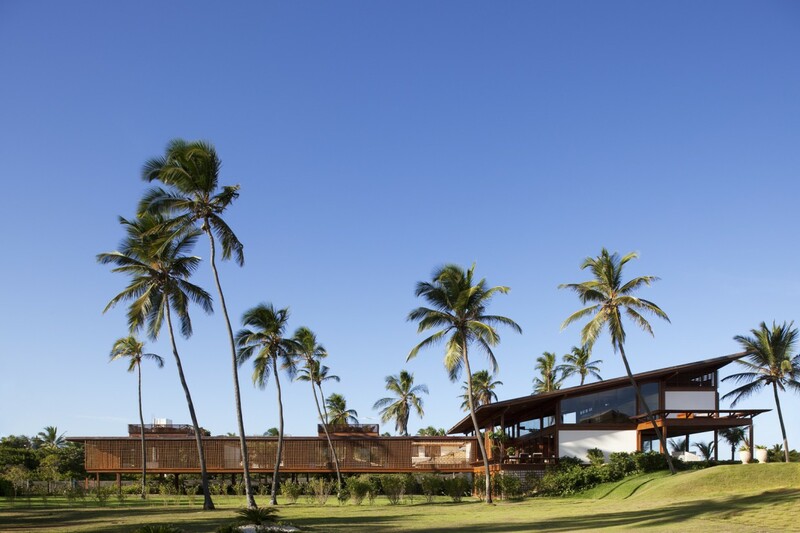 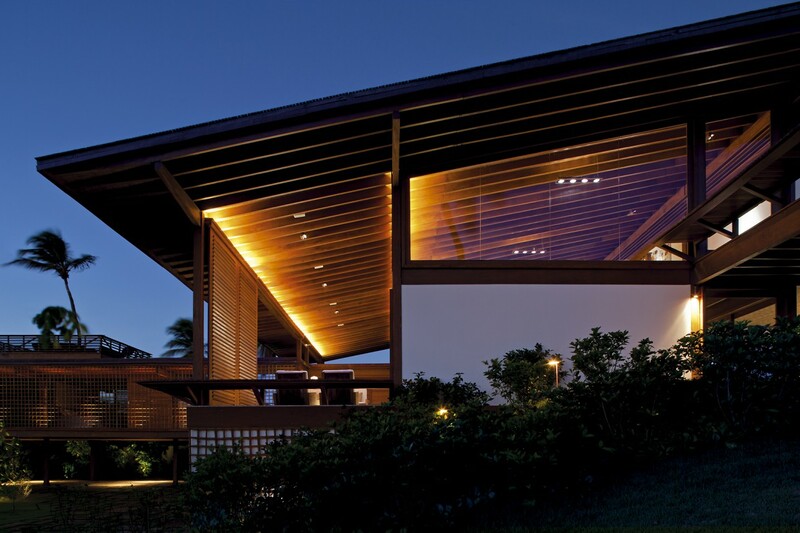 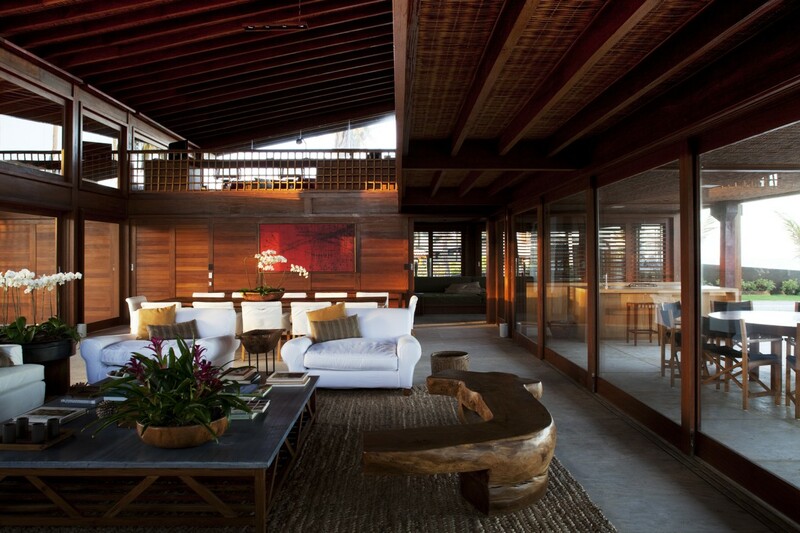 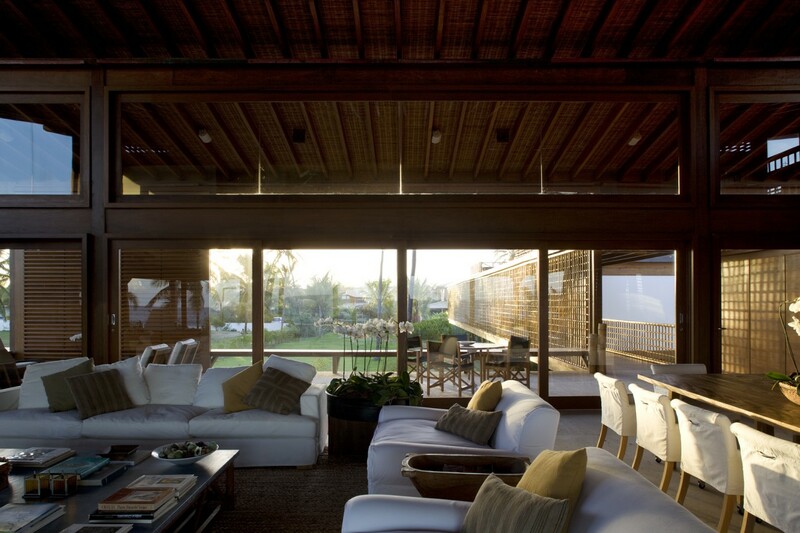 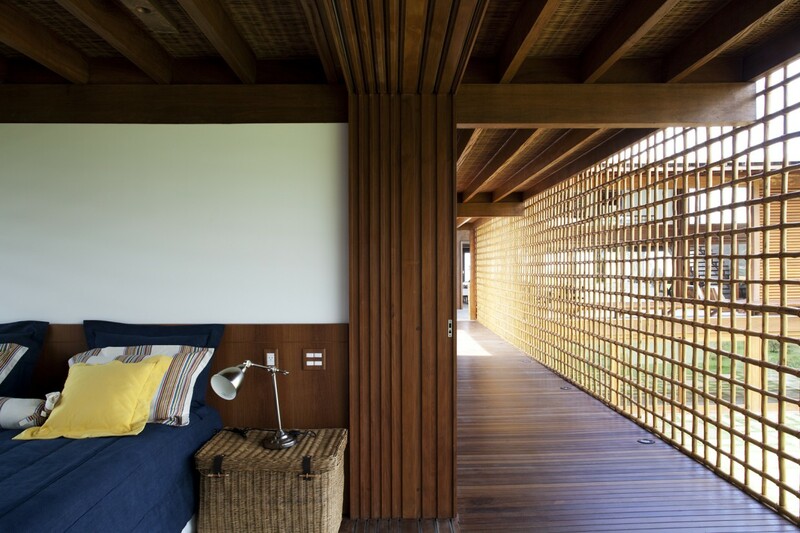 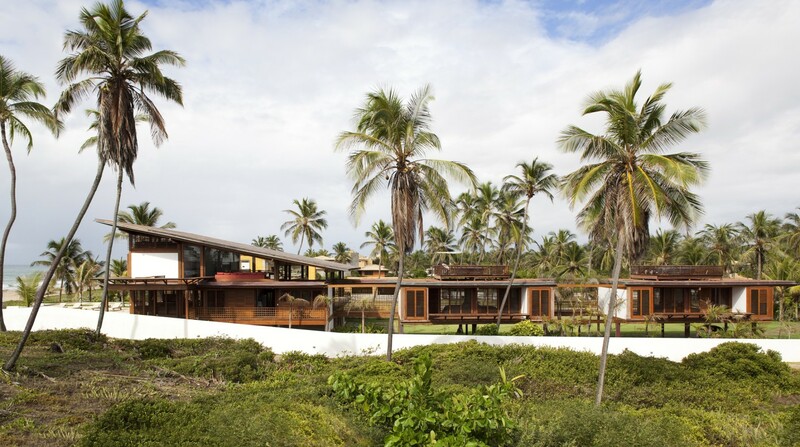 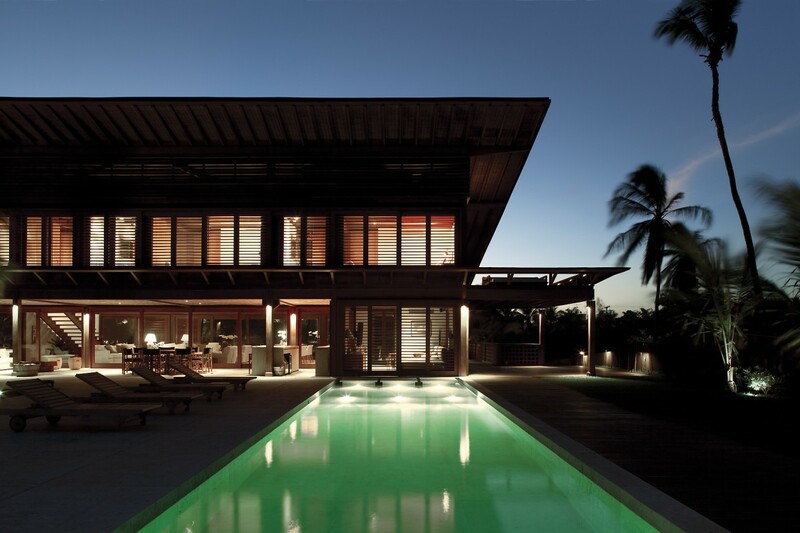 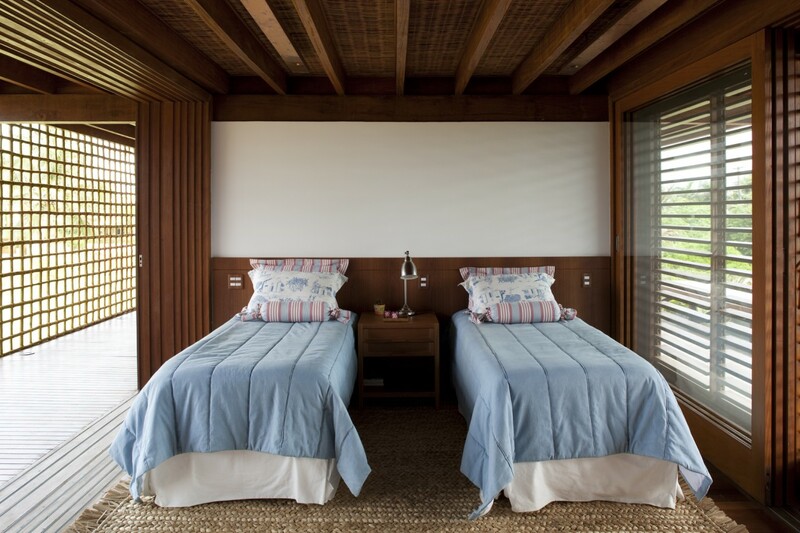 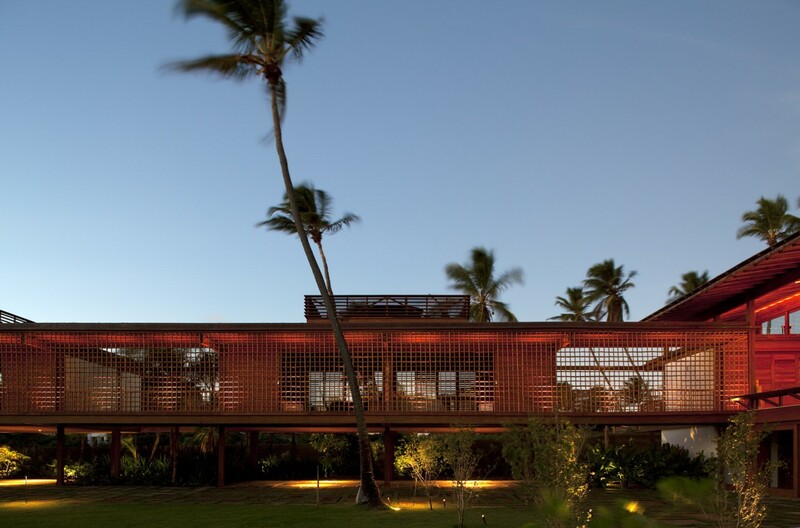 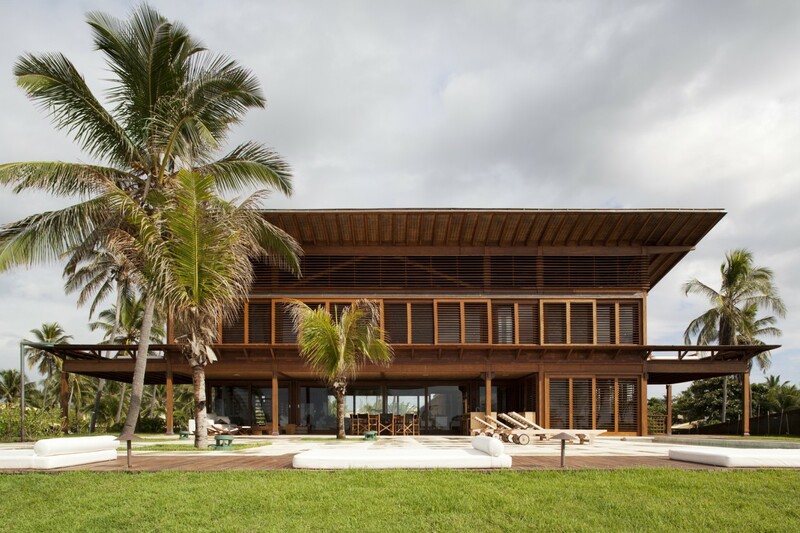 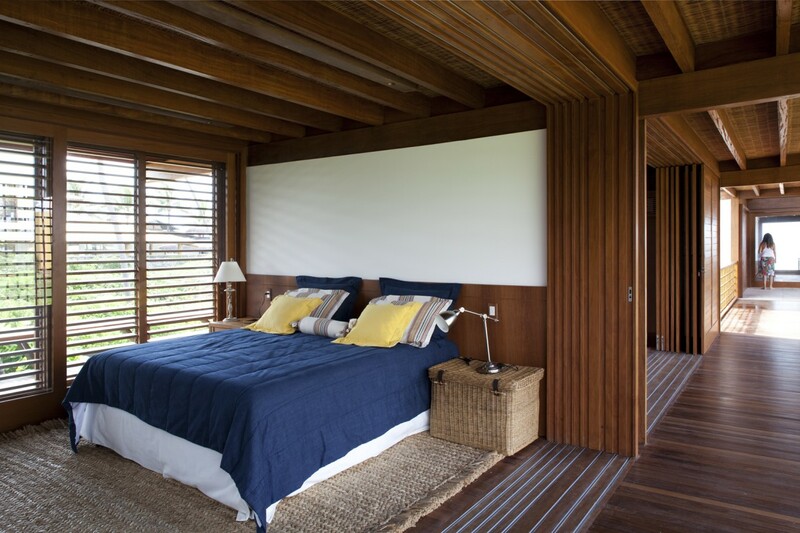 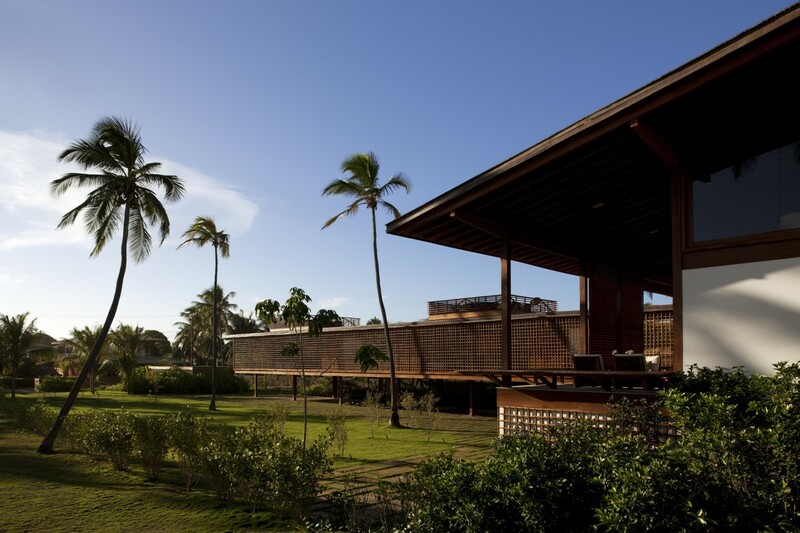 Projected by the renowned Brazilian architect Thiago Bernardes, the house is right on the beach, which is a very tranquil one and perfect for having a good walk. 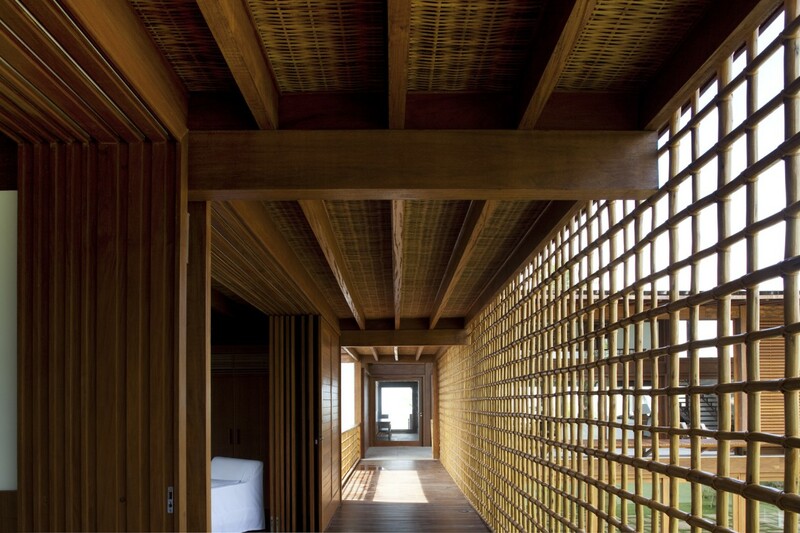 All of its rooms are large and full of wood, glass and the ocean breeze and the sea view are always present. 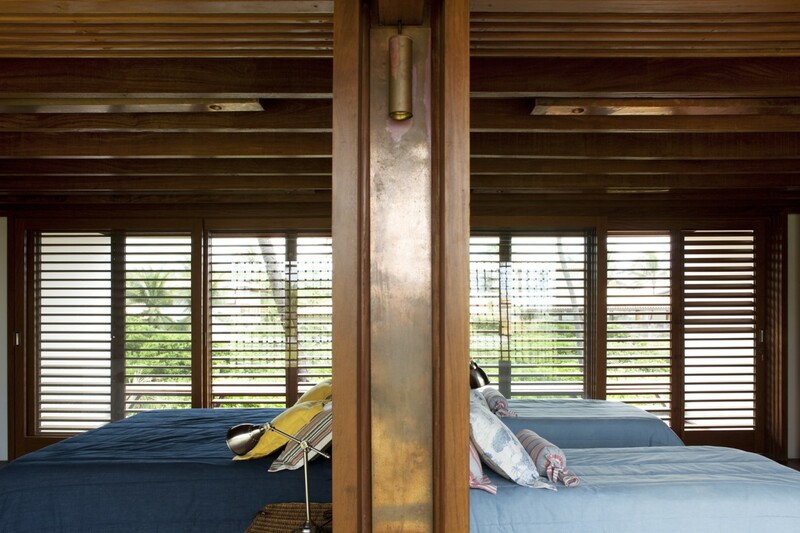 There are 6 suites at the house — all of them have views to the sea, 3 being seafront. 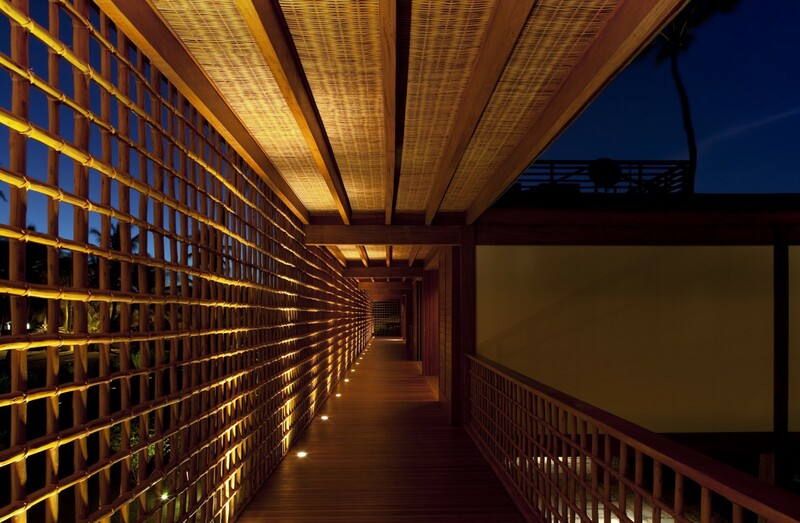 Besides its large living room integrated with the pool terrace, there are many comfortable rooms to relax: sauna, two large terraces, a bar, and two gazebos to gaze at the stars. 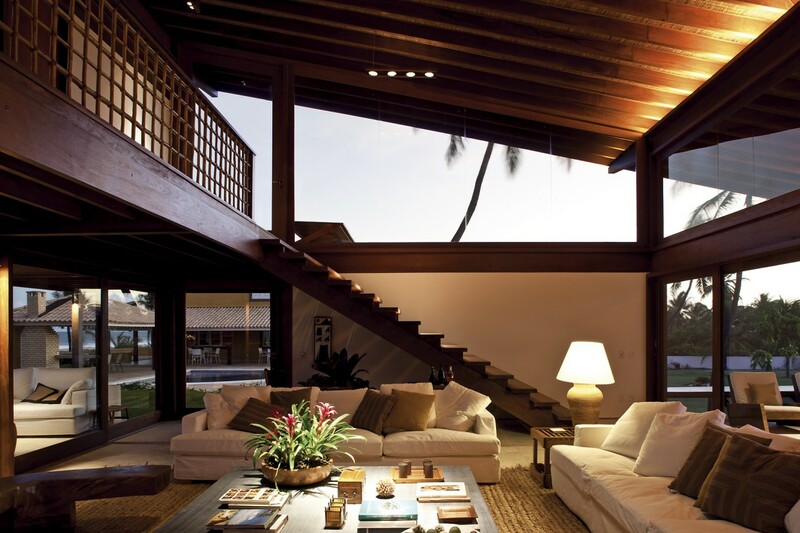 The staff is super professional and very attemptive about every detail of the house. 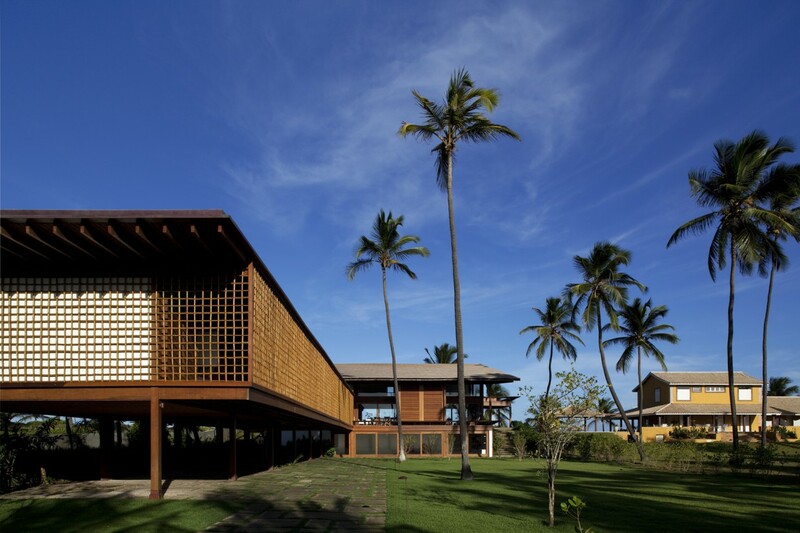 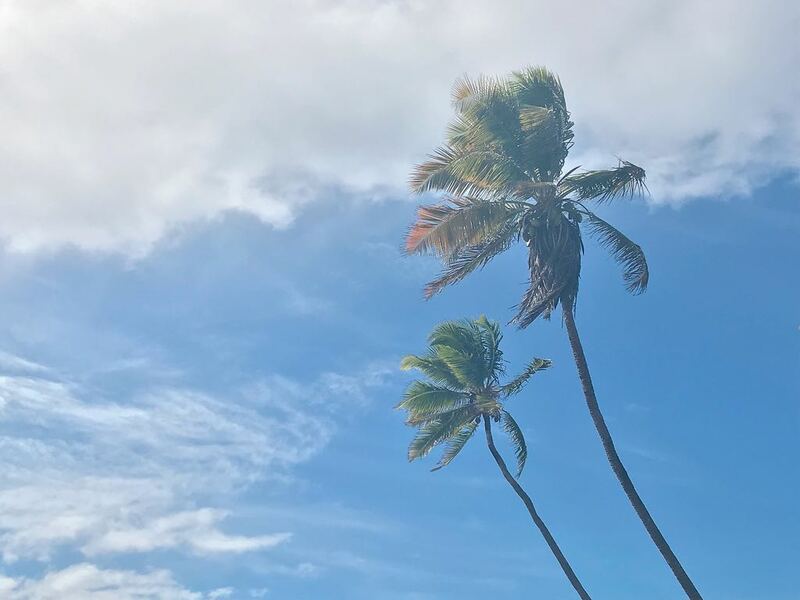 The cook, who has been working at the villa for 30 years, prepares amazing regional dishes from Bahia, which are served with delicious caipirinhas made with tropical fruits, wine or a spectacular ice cold beer. 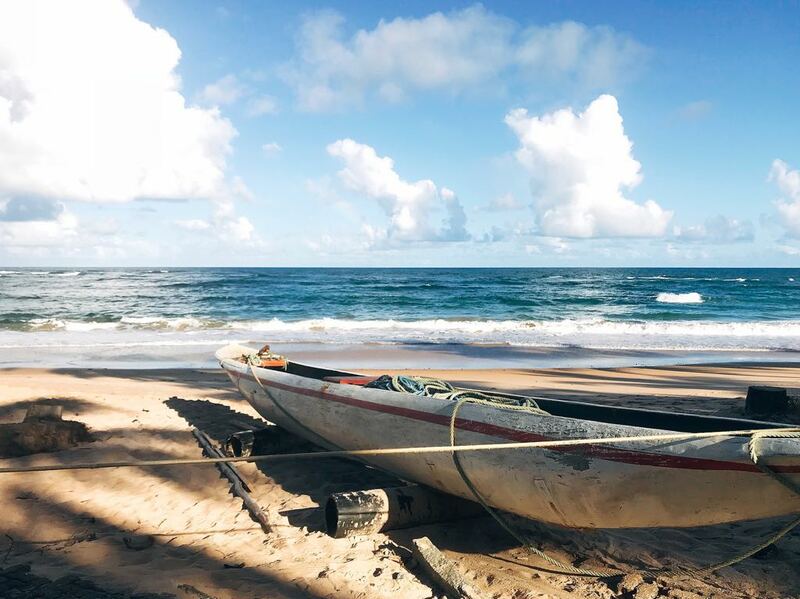 A schooner cruise at the Todos os Santos Bay. 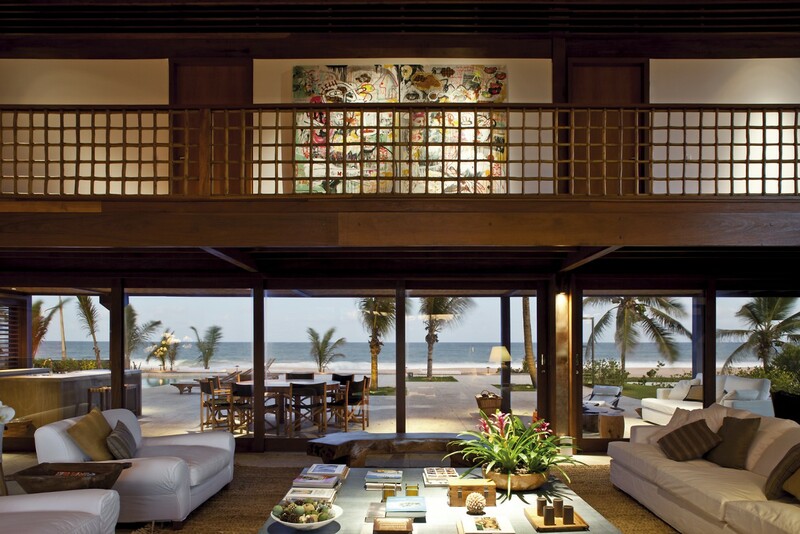 This villa is located inside a gated community called Parque Iterlagos, close to the city of Salvador.